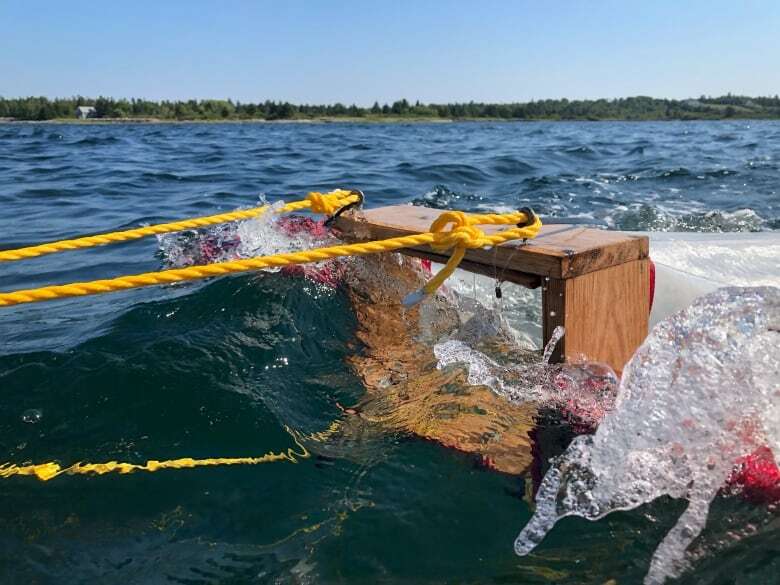 On a gently rolling sea outside historic Lunenburg harbour in Nova Scotia, what looks like a fancy butterfly net is skimming the ocean surface. Researchers on board a Boston Whaler are collecting tiny pieces of plastic smaller than a grain of rice. "Almost every sieve, we find plastic," says Ariel Smith, project co-ordinator with the Bluenose Coastal Action Foundation. They are expecting to see evidence of so-called sewage microplastic — microbeads from toothpaste and microfibres from clothing so small they are not captured by municipal wastewater treatment. "The purpose is to gather data to inform decisions about the problem of plastics," she says. The data collection is part of the latest effort to understand the presence of microplastics in Canada's marine environment. This one is a three-year, $218,000 project funded by Environment and Climate Change Canada and includes sampling in two other Atlantic Canada locations: the Bay of Fundy in Nova Scotia and Humber Arm outside Corner Brook in western Newfoundland. In addition to Lunenburg harbour, the Bluenose Coastal Action Foundation team also sampled waters in the LaHave River estuary outside Bridgewater, N.S. On Thursday, it completed its part in this year's sampling program when it finished a final survey of five area beaches: Rissers, Hirtle, Crescent, Oxner's and Mosher Island. The samples from all surveys will be sent for analysis to the laboratory of Max Liboiron at Memorial University in St. John's. The microplastics will be weighed and measured there, giving Liboiron what she calls a "plastic topography" in the areas sampled. She conducted a similar study last year on the Avalon peninsula in Newfoundland. 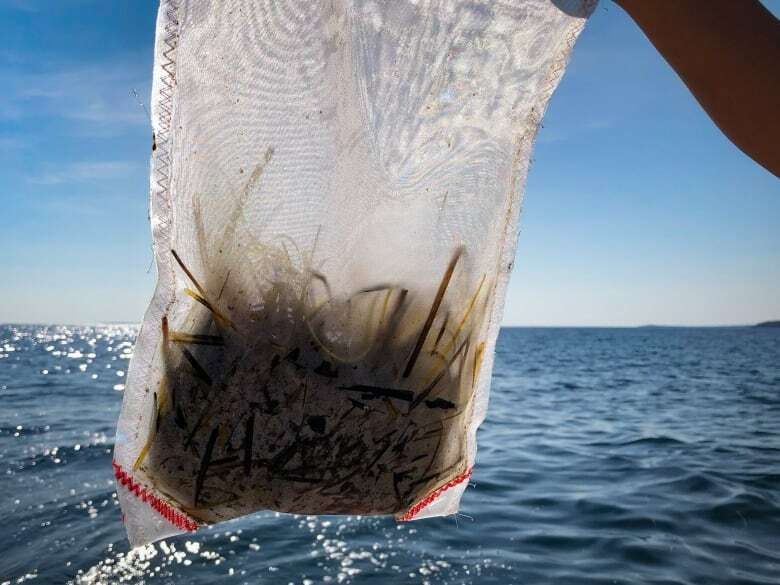 "Different areas have different types and amounts of plastics and right now there is no information about the areas they are trawling in," she says. The type of plastics will help researchers trace their source — from sewage outfalls or fishing and shipping or "noise" carried up to the region by the Gulf Stream. To the naked eye, the sample retrieved from one of the trawls outside Lunenburg hardly seems menacing. It contained just one white speck of plastic and a barely visible red microfibre. Liboiron says microplastics absorb oily chemicals in the ocean, which can include toxins like polychlorinated biphenyls (PCBs) and methylmercury. And microplastics can be consumed by a wide range of species from whales to plankton. "An animal eats the plastic," says Liboiron. "That's what we are so worried about — those chemicals moving into the animal and moving through communities and into watersheds." She says years of research are ahead as scientists profile the chemical properties of the plastics and if they transfer to humans in water. 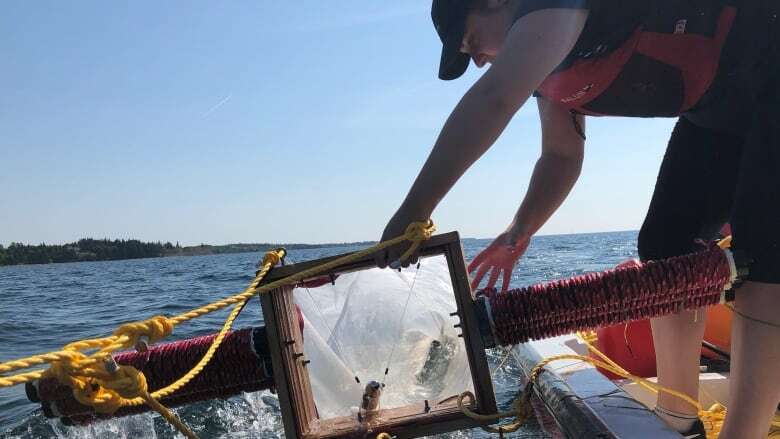 In 2014, a Dalhousie University study found concentrations of microplastics in beach sediment, worm poop and mussels sampled on the eastern side of Halifax harbour. Not surprising, since the samples were taken near a city. Perhaps more interesting, researchers also analyzed store-bought mussels grown at an aquaculture site 800 kilometres away in Newfoundland waters. Significantly more microplastics were found in the farmed mussels compared with wild ones, likely because of the plastic rope on which they were grown. In the meantime, the analyses of the samples collected as part of the Atlantic Canada Microplastic Research Project should be completed by December. Next year's sampling will focus on hot spots where microplastic concentrations were highest in 2018.